Today is stripe day! I picked up a few new polishes lately, and thought that a few of them would go well together for this mani. I'm not gonna lie though, before I thought of this combo, I was having a tough time deciding what to do for this one! I started with a base of OPI Stranger Tides. I love all of these Pirates of the Caribbean collection colors. I put some Seche Vite over it and let it dry. 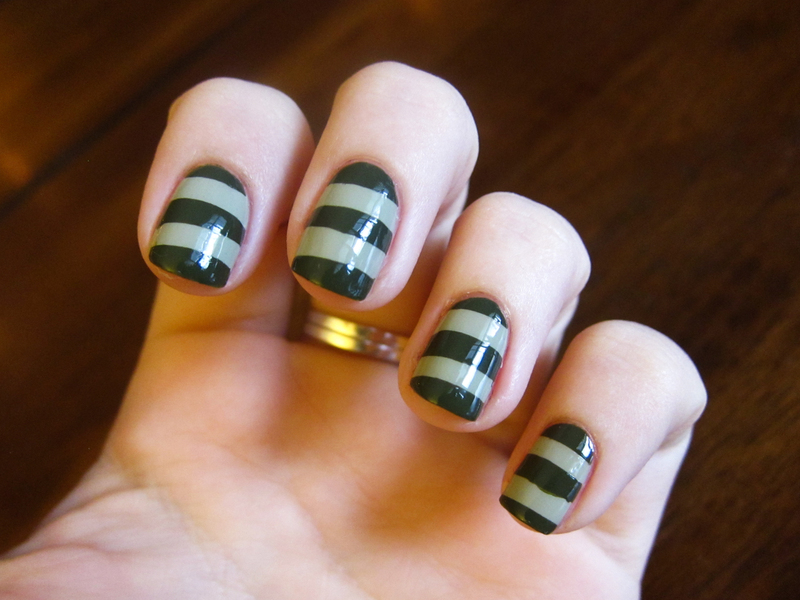 Then I added two strips of tape to my nails and painted China Glaze Westside Warrior over it. It's an olive green from the Metro collection from this fall. I peeled off the tape strips slowly and carefully, and, VOILA! 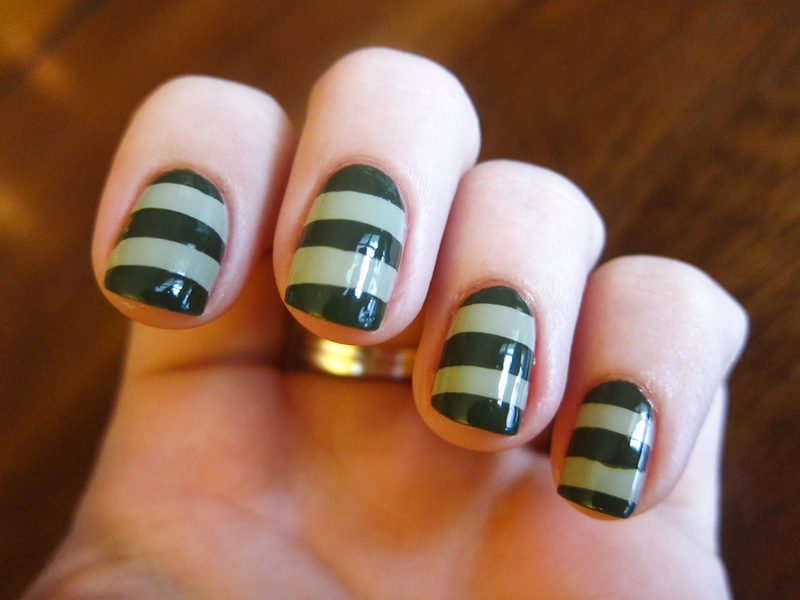 I let the stripes dry a bit, did my cleanup, and then I added another coat of Seche Vite. Not gonna lie though, the first thing I thought when I peeled the tape off was, "Steve from Blues Clues." Not exact, but close enough, haha! I really do like this mani a lot though. It is really bold and looks great, especially from far away. Lovely! Wish I could do them as neat! this is gorgeous!! you did them perfectly!!! Thank you both! I think I'm starting to get a good grasp on the tape technique, now. Wow that's scary how close that looks like steves shirt! Haha! Awesome! Very cool, great job on the stripes! haha That's cool! Love it! So cute, I love Steve!!! LOL good job! Looks like Brobee from Yo Gabba Gabba, except you need 3 red spikes. Very cool! how did you create such straight stripes??? 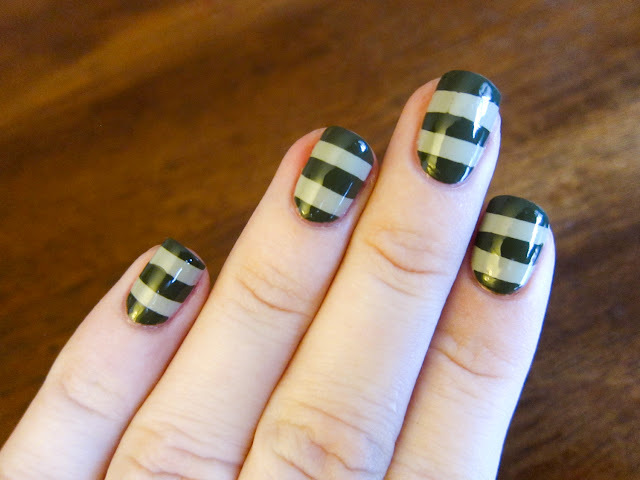 I used a tape manicure technique for this look -- check out nailside.blogspot.com for tape manicure resources! I really like the color combination, I don't think I would've come up with it. 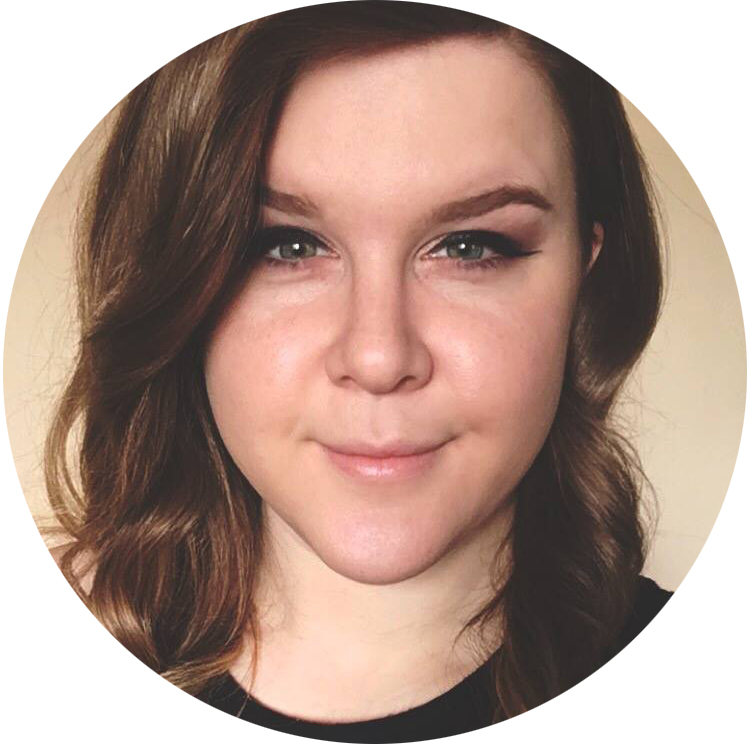 I have an olive green I got specifically for 1 look, now I have a 2nd look I can aim for! Your stripes look very neat, great job! 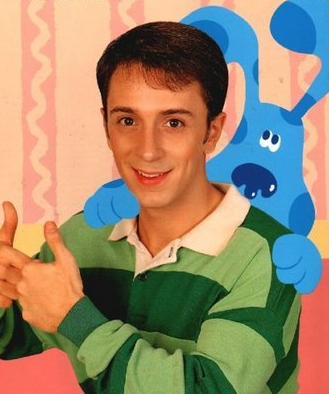 I love Steve! These are cute.